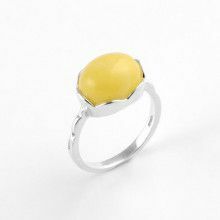 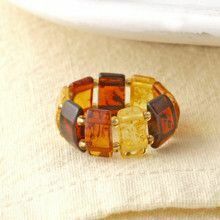 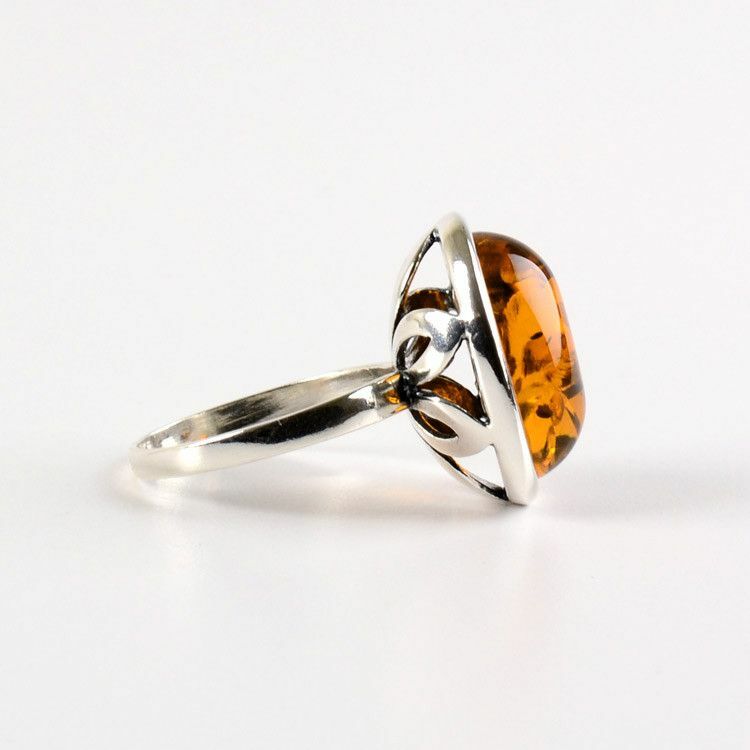 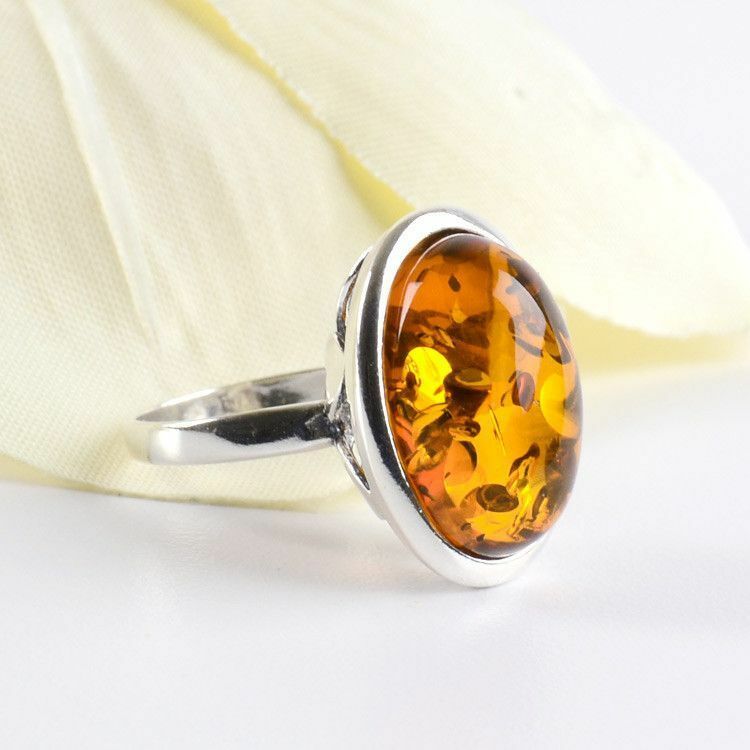 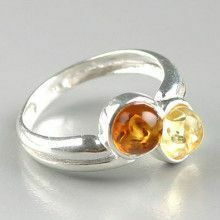 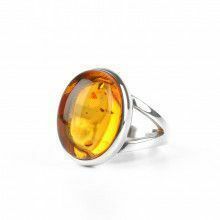 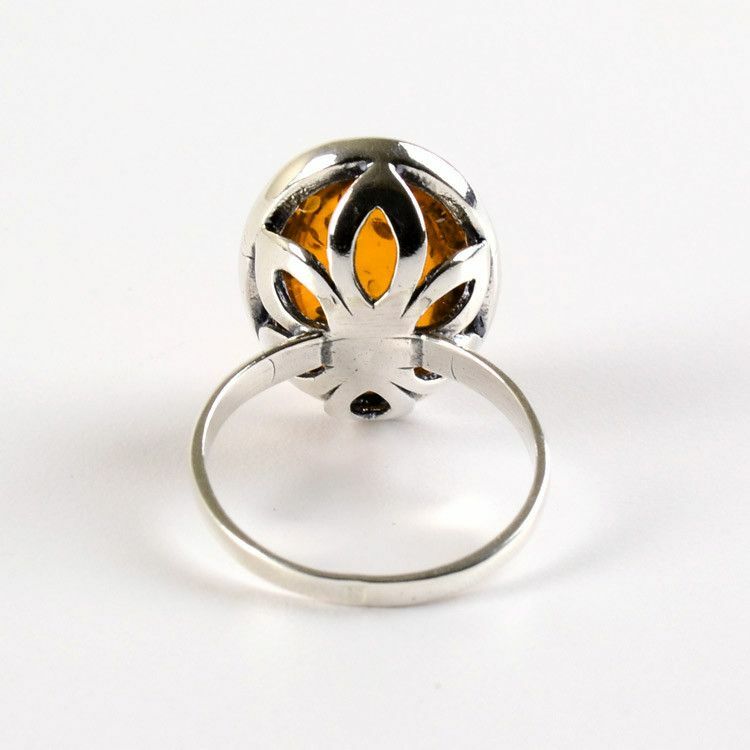 This bold and bright amber ring was made in Russia with sterling silver and a polished, oval-cut, genuine Baltic honey amber stone that sparkles effortlessly. 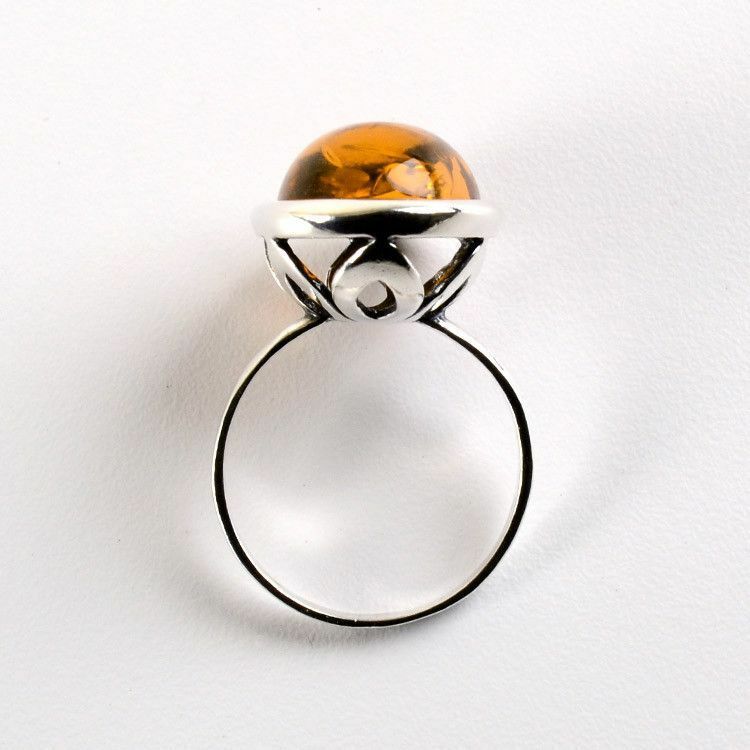 This ring demands attention, as it sits high off the finger. 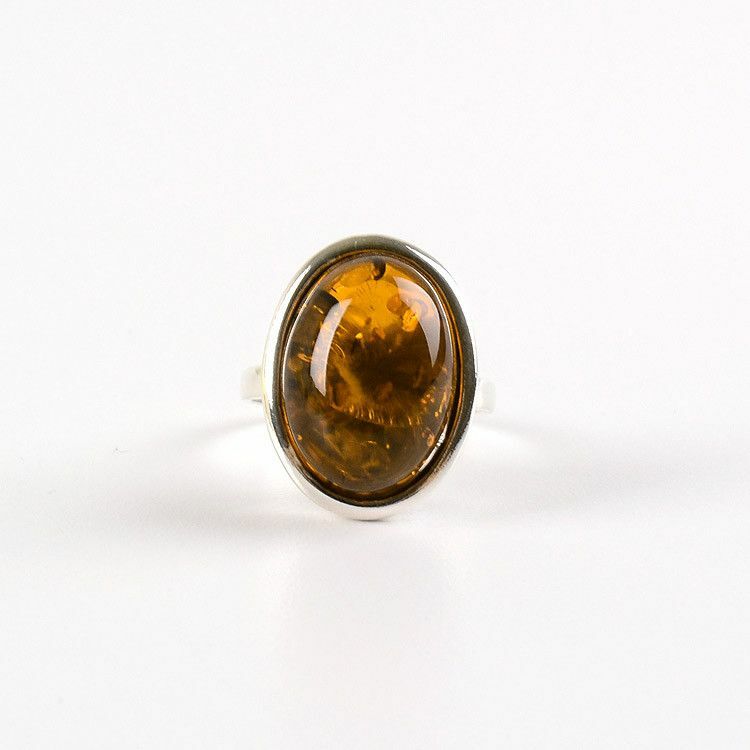 Stone is about 3/4" x 1/4"